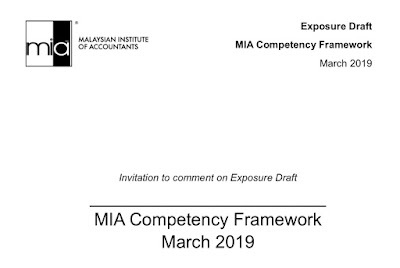 IT has been a year since the Malaysian Anti-Corruption Commission (MACC) was established with a more robust check and balance framework in meeting the expectations of Malaysians at large. To put it simply, the MACC went through a very "eventful" first year. While different individuals may have different conclusions on how far the MACC had achieved its goals in that short period, another question that needs answer is about how Malaysians, collectively, participated in eradicating corruption from our society? As Malaysia has no unlimited natural resources, the way forward for us as a country is to encourage Malaysians to be competitive, not only in the economic sense but also intellectually as the main drivers of value creation are knowledge and brain power. Not only does corruption distort the distribution of opportunities and wealth, it also creates an inefficient business environment and discourage people to compete on merit. Worse still, if it rewards mediocre people with great connections instead of smart and bright Malaysians with no access to opportunities. As with any other elements in life, corruption exists and evolves in an ecosystem. If we wish to reduce or even eliminate corruption, focusing on enforcement and prosecution alone would not be adequate. The roots need to be identified and neutralised. Let's consider the demand side. The history of mankind is full of stories about greed and willingness to compromise values in the pursuit of wealth. What happened in the global financial market in the last few years had unveiled many situations where people who were influenced by greed went very far in engineering high-risk financial products which eventually caused countries and global corporations to suffer huge financial losses. Can we eliminate greed? Certainly the answer is No! If this is the case, what are our options in order to mitigate the risks? Perhaps the first line of defence is inculcating the right values in our people, especially young Malaysians who will eventually inherit the leadership of this country. This task should be shouldered by all parents, yes, you and me! While we may argue that our children spend most of their life in schools, there is only so much their teachers could do. We should be asking ourselves how much effort we have made so far in ensuring our flesh and blood grow up with the right values, including treating corruption as the worst possible evil? This is why the report in a daily newspaper over the weekend about the desire of our youth to be millionaires by the age of 35 warrants our serious attention. When asked whether they are willing to sacrifice ethics and morality in being millionaires, 9.5% of the 1,678 Malaysians surveyed indicated their strong agreement, another 14.7% agreed while another 32.8% were unsure. Only 43% of the respondents disagreed. We must be wondering who the role models are, who have managed to impress our youth that sacrificing ethics and morality is all right in pursuing wealth. Are we, through our conduct and behaviour, responsible for this? The second line of defence is by ensuring those occupying high offices in public and private sectors are people who breathe and uphold integrity. We may not have many opportunities to influence the decisions in selecting these people but every opportunity counts. Again we have to ask ourselves, have we decided on our choices, whenever we had opportunities, based on ethics and morality or we succumbed to other selfish interests which are only known to ourselves? Having robust and transparent systems and processes could be another line of defence in reducing incidences of corruption in our society. Sounds easy as a concept but a challenge to be implemented especially when this issue is mixed with other matters such as rights and privileges. Unfortunately, the weakness in this area is the one causing us to pay big dollars in terms of overpriced contracts, defective assets and lost opportunities to bring investments into our economy. Have we, as a society, indicated our feelings towards this issue strong enough? Enforcement action is perhaps the last line of defence in the battle against corruption. This really matters if we have failed to get the other defence mechanisms working. In other words, this is only critical when we, as a society, have not done enough to eradicate corruption. While enforcement agencies have the responsibility to be effective, they may not be able to meet our demands if the whole ecosystem is not supportive of their mandate. As we evaluate the performance of the MACC on their first anniversary, it would also be meaningful to assess our own performance in the area of corruption eradication. Remember, we have a duty to ensure all lines of defence are up and running and should shoulder the responsibilities if we have failed to do the right thing ourselves. Our company has been constantly 'forced' to pay under table money in order to get the order. If we don't do it, others would do it and we will loose the business. So, it is hard for us to eradicate corruption if the culture is there! they can, how much can. I choice be deeply thankful to You.